The Red Cross’ U.N. observer says the weak and fragile services at the al-Hol camp in northeastern Syria are on “the brink of collapse” because of a flood of civilians and some Islamic State extremists who have left the extremist group’s last besieged enclave in Syria. An official with the U.S.-backed force fighting the Islamic State group in eastern Syria says some 500 people, including fighters, have surrendered and evacuated the last area held by the extremists. Ciyager, an official with the Kurdish-led Syrian Democratic Forces, says 200 more people are expected to evacuate the village of Baghouz later Monday. Dozens of men, women and children climbed hills on foot and were later seen getting into small trucks after they were searched by SDF fighters. An SDF spokeswoman said the offensive has slowed down but pressure is being kept up away from the evacuation corridor to prevent fighters from infiltrating or sabotaging the area. She spoke on condition of anonymity because she was not authorized to speak to the press. U.S.-backed Syrian fighters battling the Islamic State militants in their last foothold in Syria say they have been forced to slow down their push because the extremists are using civilians as human shields. 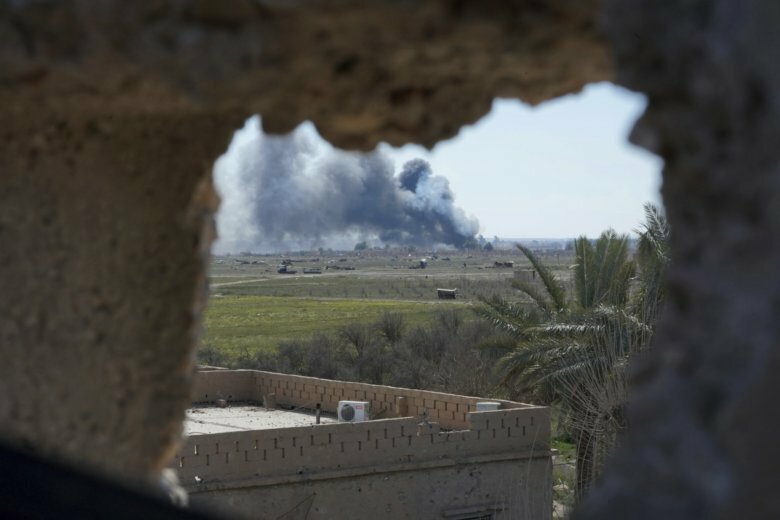 SDF resumed its offensive to recapture Baghouz last Friday, after a two-week pause to allow for the evacuation of civilians. Retaking the sliver of land would be a milestone in the devastating four-year campaign to end IS’ self-proclaimed Islamic caliphate that once straddled vast territory across Syria and Iraq. Bali said “we’re slowing down the offensive” due to a small number of civilians held as human shields.